We created our mobile app to help you practice your gratitude skills and find more joy, beauty, and comfort in simple, everyday moments. More than 11,000 scientific studies show that developing a gratitude habit helps you feel more optimistic, sleep better, and be more creative, productive, and less stressed. We’ve made over 1 million people happier! Is the Happier app free? We are working on it and should be releasing it soon! Can I keep my happy moments private in the app? You can choose to keep your moments private, share with people you approve, or with the Happier community. How do I join Happier? Simply click the link above to download the app for your iPhone. We have simple instructions that will help you get started once you open the app. You can reset your password by visiting this page. 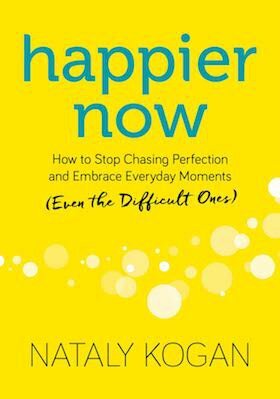 Pre-order a copy of HAPPIER NOW and get the 21-Day Happier Challenge with Nataly absolutely free.